Building Bridges: Forging Connections and Growing Readers. 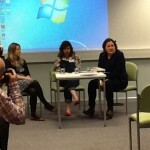 This was the Federation of Children’s Book groups Conference which was held over the first weekend in April. 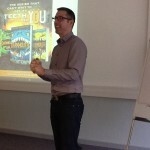 It was a very appropriate title not only because the conference was held in Telford, but also because it was about ways that we can connect with young readers and help them develop as reading enthusiasts. I finally managed to arrive at the campus (part of the University of Wolverhampton) in time to get to my room and then hit the launch of the publishers’ exhibition at 5.00 pm on the Friday. As always this is somewhat the height of any conference for me. It was great to meet up with so many friends and to get a look at some fantastic new titles that are coming in the next few months, but of course this was only the first of many visits over the weekend. Dinner was then followed by a talk by Katherine Rundell and she had us all mesmerized by her speech, but it was the last section that had many of us near to tears as she paid tribute to her sister and remembered what it had been like to lose her. I think we were all honoured that she was able to share her thoughts with us. The evening finished on a much cheerier note as we took part in the Andersen Press Quiz- and Yaay!! we eventually won after a tie breaker set of questions. So thank you to my co-quizzers Zoe Toft, Amy McKay, Tricia Adams and Jo Humphreys-Davis. Saturday started early with the first session being at 9.00 am, thankfully it was a double act with the amazing Phil Earle and Curtis Jobling being chaired by Zoe Toft. 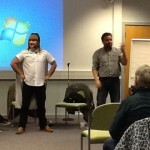 Both of the authors gave us a taste of what they do with groups of children and the room was soon filled with lots of laughter. At coffee break I was able to start catching up with people and it was great to see Andrew Beasley, the author of the “Ben Kingdom” series, who lives in the south west. 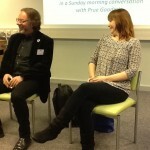 The rest of the morning was spent listening to three sessions with some new authors, Sara Bernard and Harriet Reuter Hapgood, speaking about their teen books, Andy Griffiths talking about his hilarious tree-storey series and Horatio Clare and Mike Revell speaking about their new offerings. Thankfully we then had a very good buffet lunch, which was a much higher standard than you often get at conferences. The afternoon continued the theme of excellence. There were three seminars running in parallel, so you had to chose to hear either Joseph Coelho, Pamela Butchart or Shane Hegarty. Having had the pleasure of meeting Shane last year I decided that it was time I listened to him speak in public and I am happy to say that he more than lived up to expectations. He spoke about how he came to write children’ s books and his childhood in rural Ireland as well as talking about his amazing series ‘Darkmouth‘, the third part of which is just being published. The series really is a great read. We were then treated to the delightful and very talented Ali Sparkes, who had us in stitches with some of the cat images that she had found on the web. If you ever have the opportunity to have her into your school or library then grab it with both hands as she is such a brilliant speaker. the day was rounded off by cocktails from Walker Books, although Jill Murphy was ill and unable to attend the celebration for 30 years of “Five Minutes Peace”. 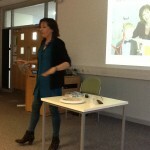 We then had Jenny Downham as the guest speaker at dinner. 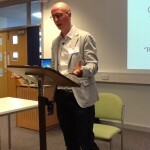 Sunday is often a bit of an anti-climax at some conferences, but that was not the case with this one. We started off with Daniel Hahn(translator extraordinaire), Jane Ray and S F said in conversation with Prue Goodwin. This was a remarkably easy going session with all the speakers sharing the subjects and the comments, so there was a real sense of enjoyment for those of us listening. 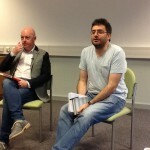 The next event showed Daniel Hahn with one of the other hats that he wears, that of interviewer and he was in discussion with John Boyne who spoke about his new book ” The Boy at the Top of the Mountain” as well as “The Boy in the Striped Pyjamas”. After coffee and cakes we then had a talk by Piers Torday about his books “The Last Wild” trilogy which takes place in a world where all animals are supposedly killed by a deadly virus. The final event was a little bit different in that it was given by Anna Conomos who has just won the Jean Russell Storyteller award for 2016. Not only did Anna enthrall us with her storytelling but she also spoke about the place of story in our history and how it can help people with other parts of their lives. This was yet another speaker that you know will be great in schools, so I hope we hear a lot more of her in the future. 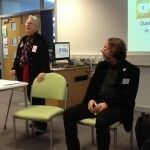 I think we all owe a really big thanks to the organizers of this conference which was truly excellent. The site was more than acceptable, although last year I would have struggled to move between the buildings because of the flights of steps. However the rooms were fine, the food was good and the company was really lovely. 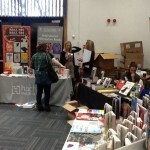 The publishers were, as always, so friendly and helpful and there were loads of new titles to keep an eye open for. I am already looking forward to next year. The end of January brings the bi-annual listing of new children’s books from Bookseller magazine. It is always great to sit and check which of my favourite authors have got a new titles in the next few months. This latest offering has got me all excited about those books appearing over the next months, but also those that have been appearing in the post for me to look at. I still think we are lucky to live at a time where so much writing and illustration talent is on offer. The other week I was lucky enough to be invited to meet new Irish author Shane Hegarty, whose book “Darkmouth” has just been published. 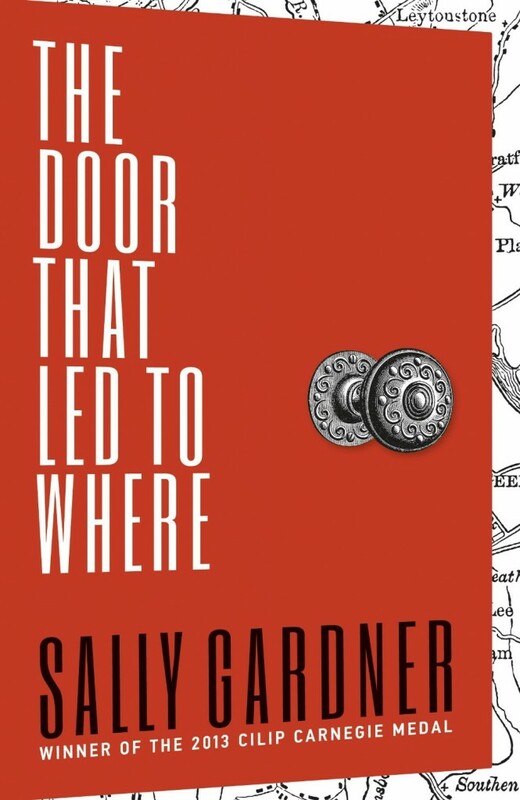 It is a dark and atmospheric book about a small seaside village in Ireland where there exists one of the last doorways between the world of ‘Legends’ and our world. 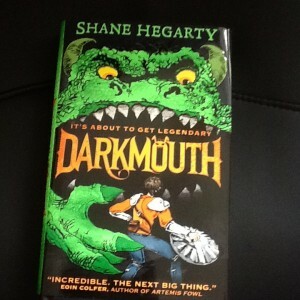 The hero is a young boy called Finn, who is being trained as a Legend Hunter by his father, but he is not very successful. 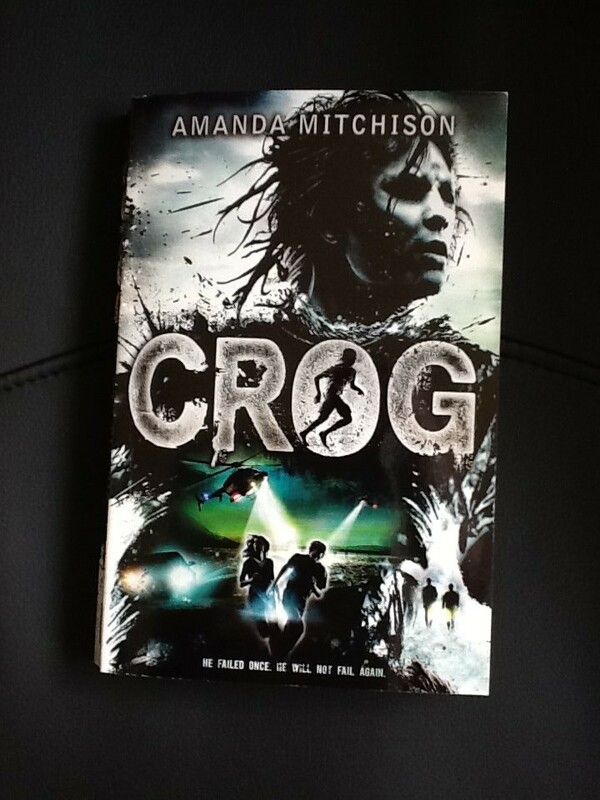 It is an action packed story for both boys and girls and there will be more to come in the series. twists in the plot before the truth is discovered. A real page turner for the middle years. 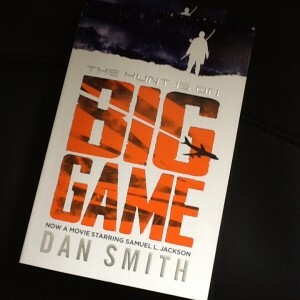 “Big game” by Dan Smith is a really strong story, which has just been made into a film, starring Samuel L Jackson. Imagine being out in the snow in Finland, undergoing a trial to prove your manhood, and then finding a crashed escape pod containing the president of the United States. The problem comes when you find there are men out there who want to kill the president – and you. A great adventure thriller. 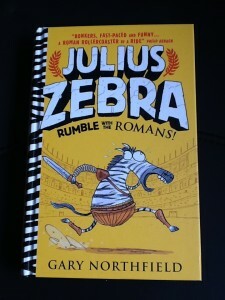 One of my favourite books of the last couple of months is “Julius Zebra: rumble with the Romans” by Gary Northfield. This is a hysterical story of the less than brave Julius who is captured by the Romans and ends up fighting in the Colosseum in Rome. It requires a huge amount of disbelief around the idea of anthropomorphic animals. 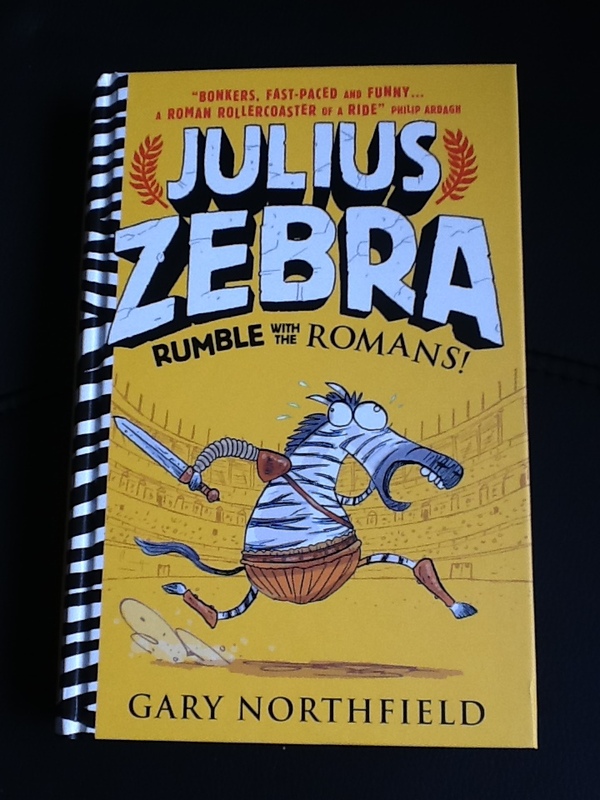 There is wonderful humour, mixed with a fair amount of information about gladiators, which will be great for young readers, both boys and girls. 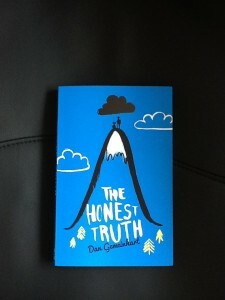 For a young teen audience there is a really heart wrenching book being published by the great Chicken House. 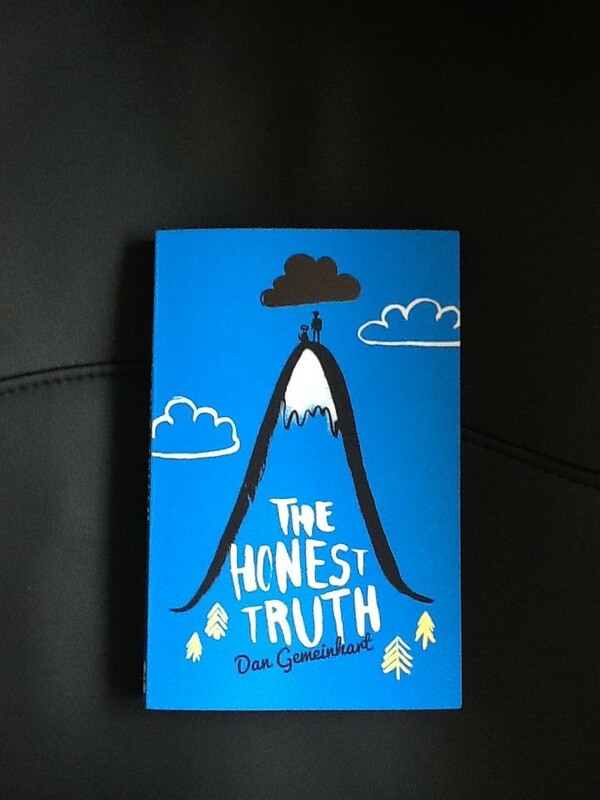 It is called “The Honest Truth” by Dan Gemeinhart and is the story of Mark, a twelve year old who is terminally ill with cancer and decides he is going on one last big adventure while he can. It is a fantastic story of grit and determination, fighting against the odds and also about the families and friends who care. I strongly recommend this one. 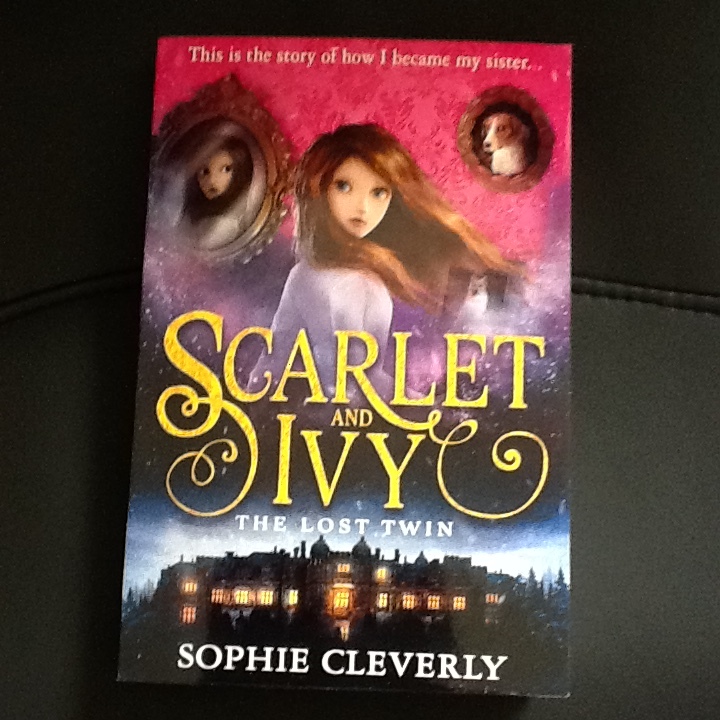 “Scarlet and Ivy” by Sophie Cleverly is a first novel, by one of the graduates from the truly amazing Writing for young people course at Bath Spa. they have produced some of the best authors of the last few years. This story is about mysteries and missing people; with all kinds of twists and turns as Ivy tries to find out what has happened to her missing sister. 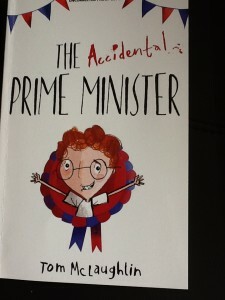 For younger readers we have the funny and truly imaginative story of “The Accidental Prime Minister” by Tom McLaughlin. The premise is totally impossible but it makes for a good read and I think some of the contenders for the real office might learn a thing or to about working for the people, if they read this book to their children. 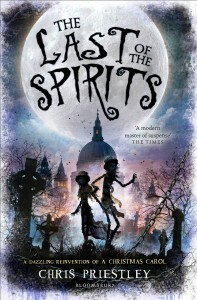 “The Last of the Spirits” by Chris Priestley is a wonderful re-telling of the story of “A Christmas carol” but told from the perspective of a destitute boy and his sister. It is one of those books that just grabs you, and I finished it in one sitting. 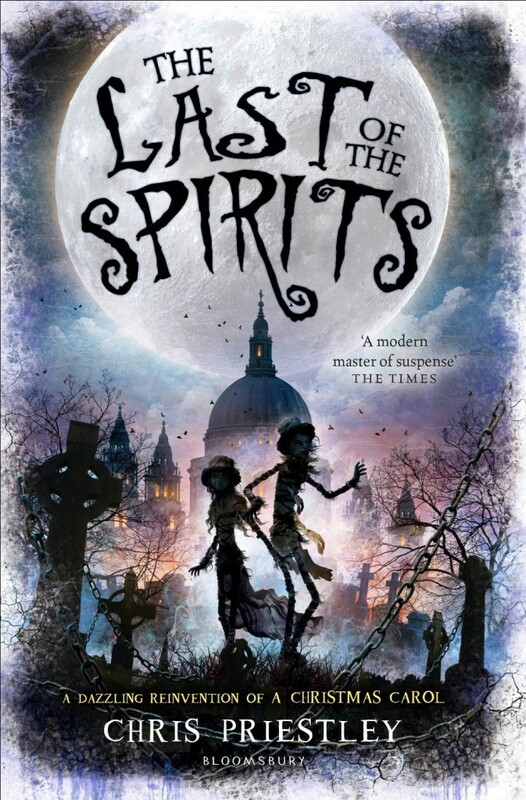 It is also going on my list of those books which have to be read every year; probably just after I have watched the ‘Muppet Christmas carol’. 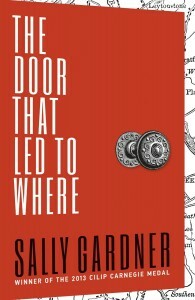 “The door that led to Where” by Sally Gardner is yet another real winner from a truly superb writer. It is a time travel novel, set in modern and Victorian London, but with the twists and turns that keep you hooked into the story. The ending seems to give hope that there will be a follow up, I do hope so. when the murderer was announced, because all of the suspects were such nice people, in fact the only nasty person turned out to be the victim. 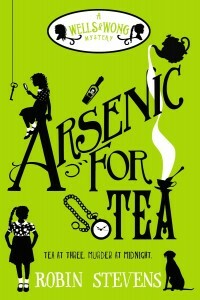 I have just heard that a contract has been signed for more books by this author and I can’t wait. My last offering is the first in a new series by Vicki Lockwood, called ” The Magnificent Lizzie Brown and the Mysterious Phantom”. 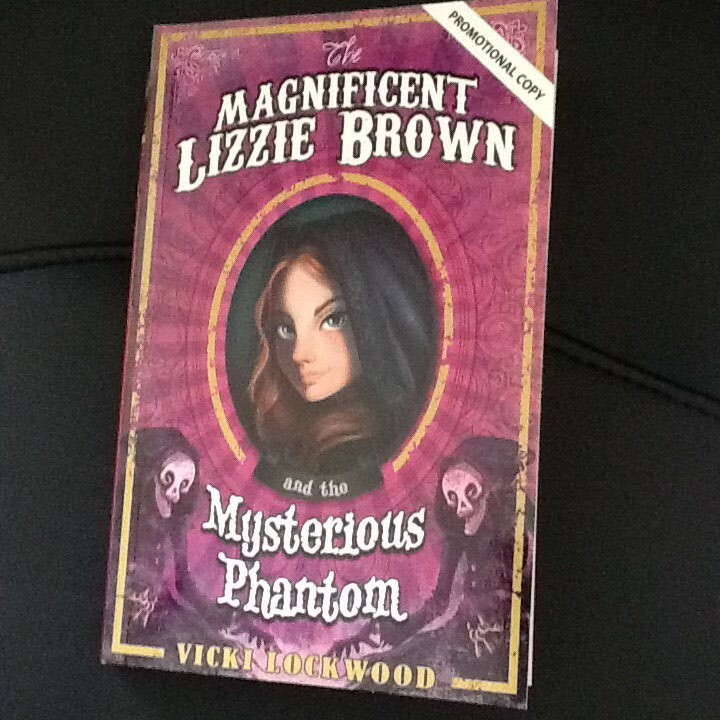 It is set in Victorian London and surrounds the adventures of Lizzie Brown, who runs away from her drunken father and finds herself joining a circus. Whilst assisting the fortuneteller, Lizzie discovers that she has a true ability to see into the future, not something she really wants. the story deals with her attempts to unmask a mysterious thief, with the help of her new circus friends. I am looking forward to the next in this exciting series for the ‘tweens’.